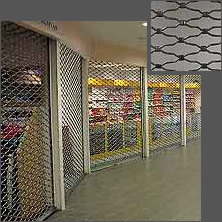 Action Steel push-up type or gear operated rollermesh grille door of the Milano pattern in galvanised/spray painted finish to suit any opening. Made up of 10mm diameter round bar clipped together with 2mm thick clips, complete with 75mm x 30mm x 3mm channel section guides. Or with spring loaded roller mechanism with canopy, driveshaft, crank handle, end plates etc. 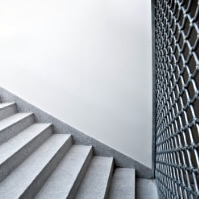 Installed complete, secured to brickwork/concrete/steel. 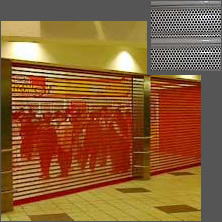 Action Steel galvanised mild steel gear operated roller shutter door suitable for any opening size. 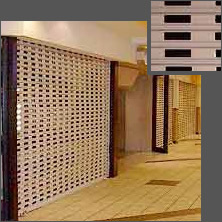 Complete with 80mm wide X 1mm thick interlocking slatted curtain, 75mm x 30mm 3mm channel section guides and spring loaded roller mechanism with canopy. 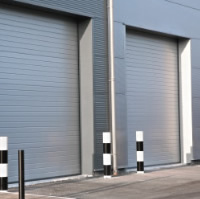 Action Steel two hour fire resistant roller shutter door with fusible link to suit opening mm wide x mm high. 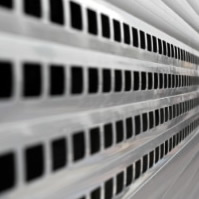 With guides formed of 75mm x 30mm x 3mm channel section. 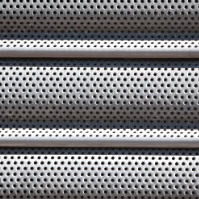 Steel box formed of 6mm thick mild steel and slat thickness of 1,2 mm. 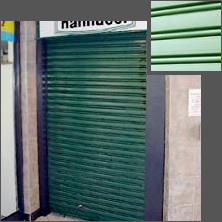 Action Steel half hour rated fire resistant roller shutter door with fusible link to suit opening mm wide x mm high. 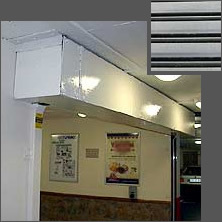 Secured to brickwork/concrete/steel, includes canopy cover formed of 1.2mm thick galvanised steel.